Parabola is presented in exceptional condition. Carefully maintained by both of her two owners from new. 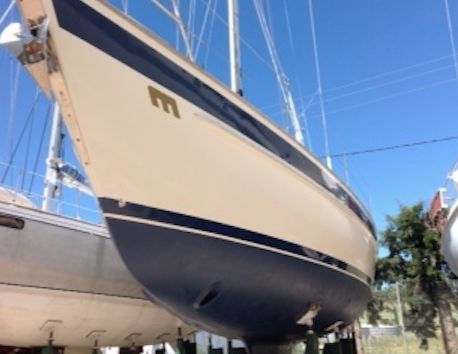 Her current owners (since 2005) have sailed her from the UK to the Mediterranean where she has been sailed for the summer months and carefully prepared for the winter and laid up ashore each year. Her specification includes inmast furling mainsail, updated electronics, solar panels, autopilot, radar, bow thruster. The Malo 39 boasts excellent seakeeping and impressive performance, delivered in safety and comfort. Deep aft cockpit with all controls led aft. Layout includes 2 double cabins, 2 heads, spacious saloon and huge stowage.